SIT Alumni: Before registering for courses, please activate your SITizens Learning Credits via the email sent by SIT Alumni Team, on behalf of SITLEARN Professional Development on 31 Jan 2019. 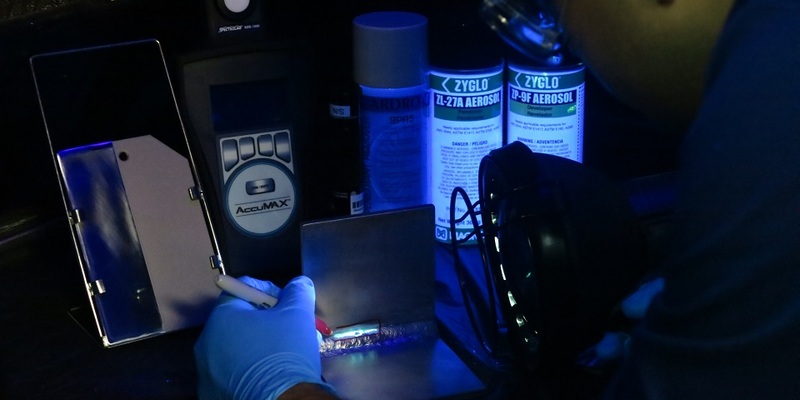 This 20-hr course provides the training and education for the skillset in inspection practices using the non-destructive testing (NDT) method known as Penetrant Testing (PT). 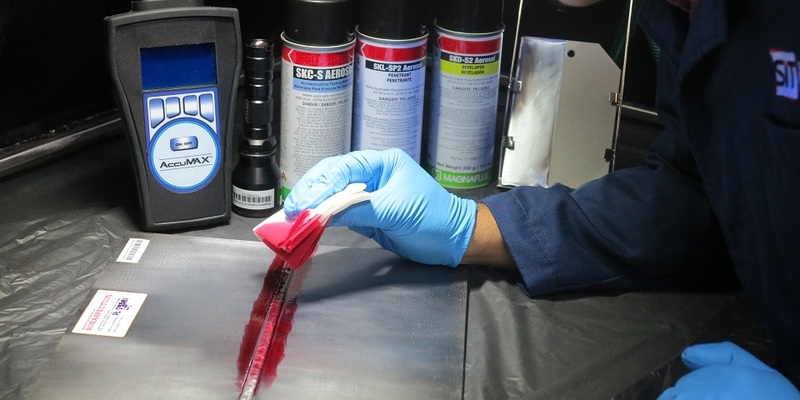 This is a test method that applies liquid dyes following the principles of capillary action, which is suitable to inspect for surface breaking flaws and discontinuities on materials and structures. Training is delivered through a combination of seminars and practical laboratory sessions to learn the test method. This course fulfils the training requirements for the PT Level 2 for the SGNDT certification administered by the Non-Destructive Testing Society Singapore (NDTSS). The SGNDT certification is compliant with ISO 9712 and is recognised by the Singapore Accreditation Council (SAC). NDT personnel including technicians, engineers and managers in the areas of testing/inspection, maintenance, and quality assurance/control, for pre- and in-service materials and structures including the manufacturing sector. All figures include GST. GST applies to individuals and Singapore-registered companies. You can opt for either SF Series Funding or Mid-Career Enhanced Subsidy. Both cannot be combined. SIT reserves the right to collect the balance of the course fees (i.e. the potential grant amount) directly from the applicants (and/or their sponsoring organisations where applicable) should the above requirements not be fulfilled. This is a Union Training Assistance Programme (UTAP) supported course. If you are an NTUC member, you can enjoy 50% unfunded course fee support for up to $250 each year for courses supported under UTAP. Find out more information here. Terms and conditions apply. This training course is recognised by the Non-Destructive Testing Society Singapore (NDTSS) for the Singapore NDT (SGNDT) Certification ISO 9712 scheme, which is accredited by the Singapore Accreditation Council (SAC), according to ISO/IEC 17024:2012. Minimum Diploma in a Science/Engineering field of study or SNT-TC-1A Level 2 in Penetrant Testing or equivalent. Will completing this course qualifies the participants for Level 2 SGNDT certification in the NDT method? Upon completion of this course and passing the assessments, participants receive the Certificate of Attainment, which signifies completion of the training requirements for Level 2 SGNDT certification in the NDT method. Participants need to then possess a minimum of 3 months industrial experience practising the NDT method, and together with this Certificate of Attainment, are then qualified to undertake the examination for Level 2 SGNDT certification administered by the Non-Destructive Testing Society Singapore (NDTSS). Edmund has around 15 years of teaching and research experience in the field of non-destructive testing (NDT). His early research interests were in guided wave ultrasound where he developed pattern recognition techniques to identify defects on metal beams. Subsequently, he worked for the aerospace industry to study NDT methods for the inspection of helicopter composite airframe structures, including phased array ultrasound, radiography, and thermography. He joined SIT in 2013 and continues to be active in the field of NDT, delivering education and training, as well as conducting applied research for industry projects.